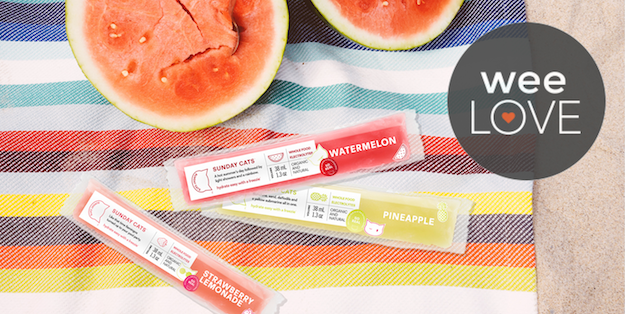 Summer means longer days, popsicles, and lightening bugs. It’s also the season where we as parents tend to be a little more lax about those nap schedules or rules regarding eating ice cream before dinner. Wherever your summer plans take you–to the beach, to the Grandparent’s, or even just around the block–below are our favorite recommendations for summer fun. 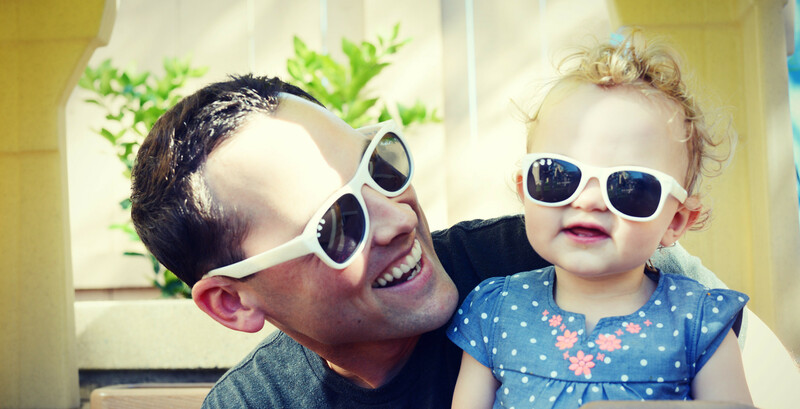 ro•sham•bo Sunglasses: weeLove these sunglasses for the tiniest of babies and are so excited to hear that they are now offering the same quality, BPA- and paint-free Italian-made shades for bigger kids and adults. They’re perfect for helping to protect the whole family’s eyes from harmful UV rays all while being practically indestructible and super stylish. These super lightweight shades (they float in water!) come in a variety of colors and as if you needed another reason to nab a few pairs, every purchase supports autism research, training, and support for families affected by autism. Swim Diapers : Okay, so these might not be the first thing you think of when you hear “fun in the sun” but if you’ve got a little one in diapers and plan to visit any sort of body of water (especially public pools), then these are a necessity. Huggies Little Swimmers Disposable swimpants are a favorite among weeSpring parents, especially since you can easily rip the sides for quick and easy removal and disposal. The iPlay Ultimate Snap Swim Diaper is a great, eco-friendly alternative. They come in a variety of adorable patterns and colors, and the side snaps (a bonus feature for reusable swim diapers) means easy-on and easy-off, a must-have for those need-to-change-now moments. Neso Tent: Headed to the beach this summer? You are going to want to nab one of these. 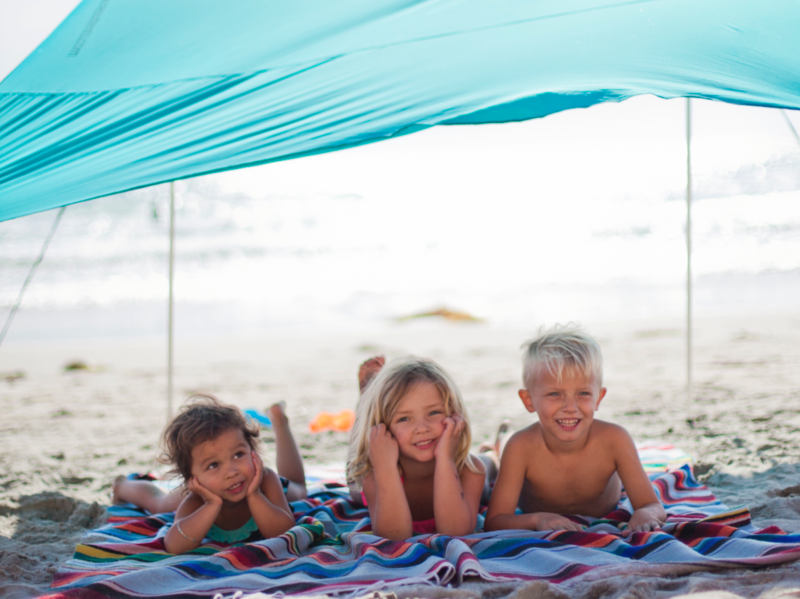 The Neso Tent was created by a new dad who wanted an easier way to set up a safe, shady space for you and baby at the beach. This lightweight (it’s under 4 lbs.! ), stake-less tent uses anchors filled with available natural resources, like sand or rocks, to create a space safe from the elements. The tent is made of a high quality lycra blend that is both water resistant and has a UPF 50+. Even better? 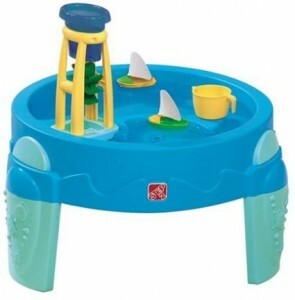 It can fit in your carry-on luggage, so be sure to make some room next to the water wings and flip-flops. 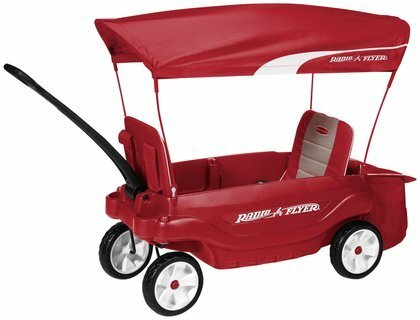 Radio Flyer Comfort Wagon: Walk to and from the park or around the block in style with this updated take on the classic little red wagon. While technically this isn’t just for the summer months (it’s also great for trick-or-treating, if you like to think ahead), the sun canopy and cup holders (for littles and bigs) make this ideal for picnics or longer strolls through the neighborhood. While it’s made to cart around two kids at once, parents find that when only one seat is in use the extra space is great for toting around beach bags or coolers. Next story MORE BABY GEAR GUIDES COMING SOON!